There is quite a strong LGBT presence in the equestrian world. Equestrian refers to horseback riding, and includes jumping (known as show jumping), eventing (being a race around and over various obstacles) and dressage (a form of riding with skilled synchronized movement between horse and rider). The sport has evolved to include competition in paralympic games. The particular challenges in the sport include not only the ability to ride, but also the ability to bond with the horse and create a team effort. It requires maintenance, training, maneuvering, and over-powering of a large animal, which has an unpredictable mind of its own. There are tremendous risks in the sport, as represented by the profile of riders who have sustained injuries. Equestrian events were first included in the Olympic games in 1900. LGBTQ individuals have long had a successful presence in the equestrian world, despite the fact it is considered a conservative sport. Most have reported being accepted within their community. Almost every one of the LGBTQ equestrians we have identified, has been an Olympic games contender, and most have been successful in winning an Olympic medal. Many have also won world championships, which are organized by the International Federation of Equestrian Sports (FEI). Many of the riders turn to training and coaching after their successful personal careers, and have made a global reputation for their success, such as Britain’s Carl Hester, or American, Robert Dover. Unfortunately, there are no out lesbian or transgender individuals with a notable presence in the equestrian world to date. This is odd considering the fact that the amateur equestrian world has far more female participants than male. The notion of riding horses as a symbol of masculinity is highly embedded in our contemporary culture, and this may impart a bias in the competitive world. 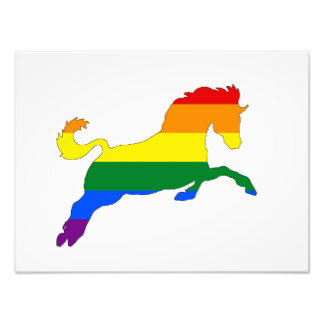 Queerbio has identified notable LGBTQ equestrians from Great Britain, The Netherlands, Canada, Spain, the United States, New Zealand and Germany. Read more and see the complete list of notable LGBTQ individuals in this sport HERE.